Johnny Brise was a gifted driver from a humble Kent background who rose to rub shoulders with some of motorsport’s biggest names. He learned the art of racing on circuits, moving into Formula 3 during its first season alongside contemporaries Stirling Moss and Bernie Ecclestone. 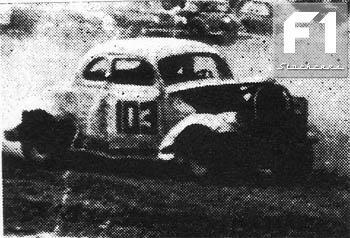 The birth of stock car racing in 1954 saw Johnny take to the ovals. He initially raced a Ford Model 68 Coupe, but Johnny’s racing background gave him an advantage over some of his opponents and he was keen to make use of his knowledge to set up a racing car. In 1956, Johnny won the World Championship using a Ford Model 78 modified by its original American owner for oval track racing. The same car helped him to the National Points Championship in the same year. His best was still to come. In the 1959 World Final, Johnny debuted a new machine that cannibalised what he thought were the best racing parts from a number of different cars: a Mercedes chassis, Oldsmobile engine, Jaguar gearbox, Ford front axle and Jeep rear axle. It was light years ahead of what the other drivers had, and took Johnny to an easy victory in the World Final. Fred Mitchell and Doug Wardropper followed in second and third. Johnny was the first driver to win the World Championship twice, and added a third the following year. The same car led from green flag to chequered flag; Mitchell and Wardropper finished second and third again. A fourth consecutive World title might have followed in 1961, but by that point Johnny had his eye on yet another new motorsport. He only raced two stock car meetings in 1961, winning the final at one of them. 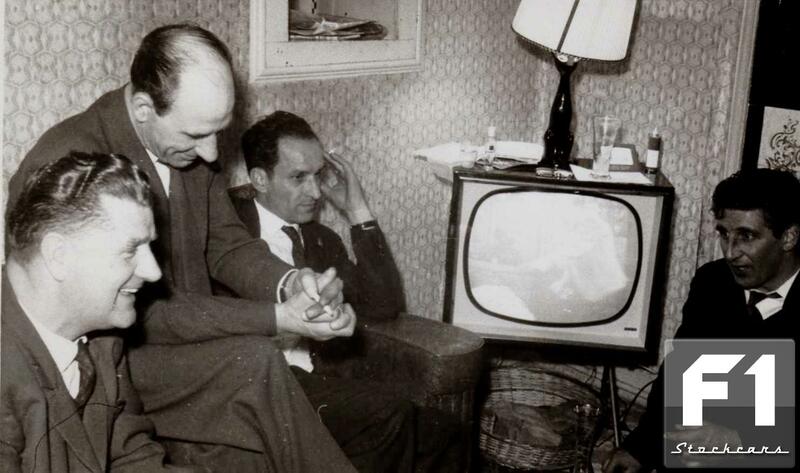 Instead he took an interest in karting, going on to win the Class 1 Championship in 1961. Johnny wanted to defend his stock car title at the West Ham-hosted World Final, but it clashed with a karting event elsewhere and the authorities refused to let him fly in by helicopter. The meeting final win earlier in the season would prove to be Johnny’s last appearance in a stock car. He left behind a sport that was far removed from the one he helped pioneer seven years earlier. Karting was to prove Johnny’s new passion, and a successful business building karts helped to fund both his own racing and that of his two sons. One of them, Tony, progressed through the circuit racing ranks to represent Williams and Embassy-Hill in Formula 1. His career was cut short when he died in the plane crash that also killed his team mentor, Graham Hill. Johnny was left heartbroken, and cancer claimed him five years to the day later. A pioneer in three different motorsports, Johnny deserves to be remembered as one of the first and finest stock car stars.